Andromeda is our closest galaxy at around 2.5 million light years distance. 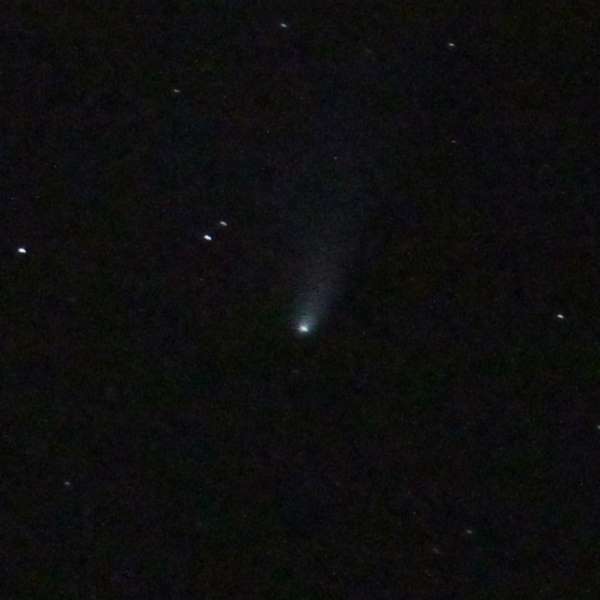 Last weekend a few members from The York Astronomical Society travelled up north to Kielder Observatory for the peak of the Leonid Meteor Shower. 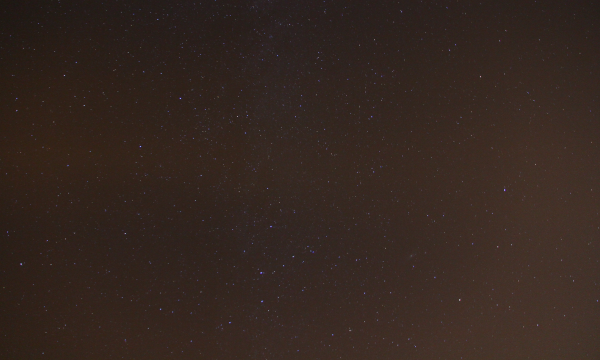 As soon as I arrived at the observatory I got my camera out and started taking photographs of the night sky. While it may not have been the clearest I’ve ever seen the sky at Kielder, it certainly was more impressive than the recent Autumn Star Camp which ended up being a bit of a washout. Gary Fildes had a quick chat to us before we all set off to look through the instruments – including their 14″ Meade LX200 and 20″ Split Ring Equatorial telescopes. 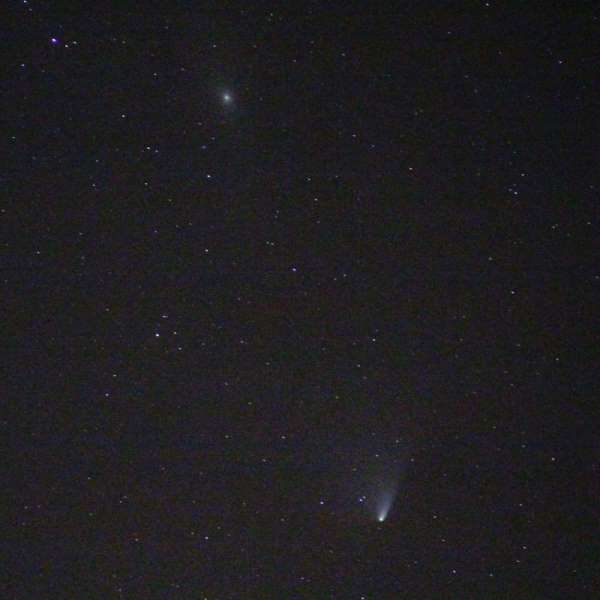 Both of which provided very impressive views of various deep sky objects including Jupiter and Andromeda. Talking of Andromeda, I had to do my usual dark sky test to see how well it came out in a 30 second photograph using my Canon 7D. 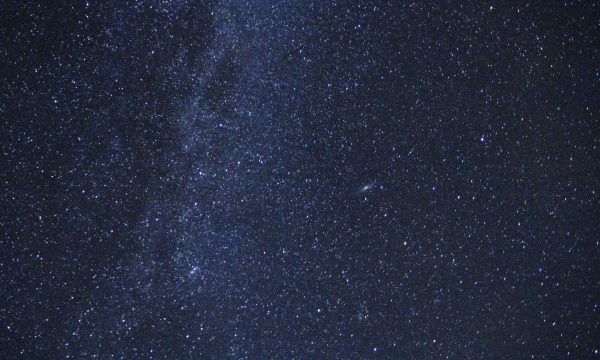 As you can see, there are a lot of stars in this photo. As per usual I pointed my camera around Cassiopeia to get a nice picture of the Milky Way including Andromeda to the right. 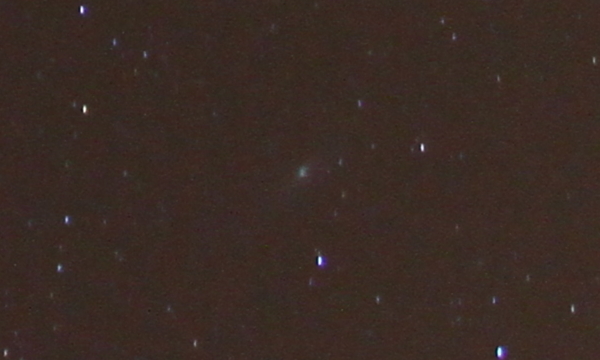 As you can see, Andromeda is visible even when zoomed out, and at full size you can make out even more detail than previous attempts back home in Thorner or light polluted Scarborough. 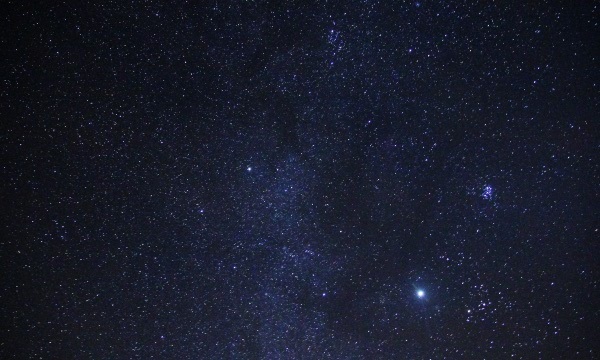 I just goes to show how impressive the dark skies at Kielder Observatory really are. You can also see the full resolution photographs on Flickr. 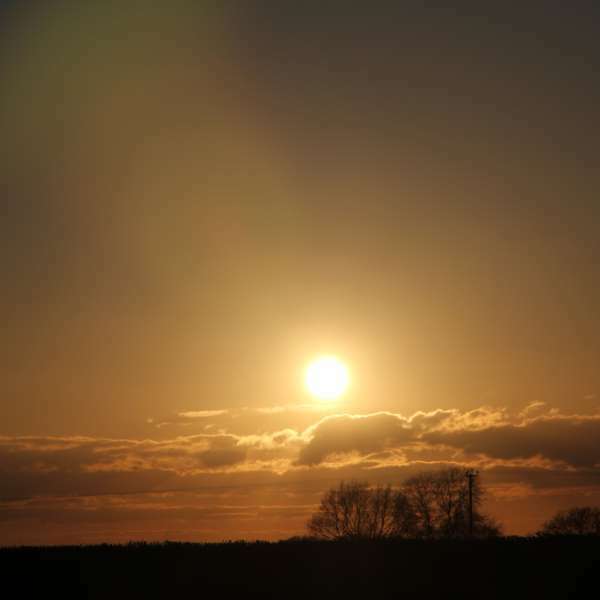 At the weekend myself and a few other members of The York Astronomical Society journeyed over to Scarborough for an evening of astronomy and good times. 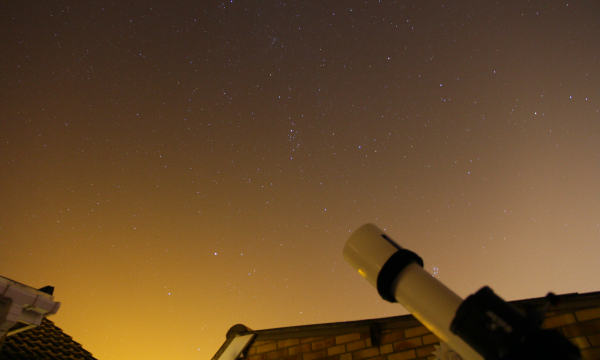 As well as looking through my friend’s telescopes – I also positioned my camera skyward to see what the dark skies of suburban Scarborough had in store for me. As you can see there are still a large amount of stars that are visible by using a 30 second exposure, even tough there is a distinct orange glow when compared to roughly the same photographs taken from the dark skies of Thorner – my home village. 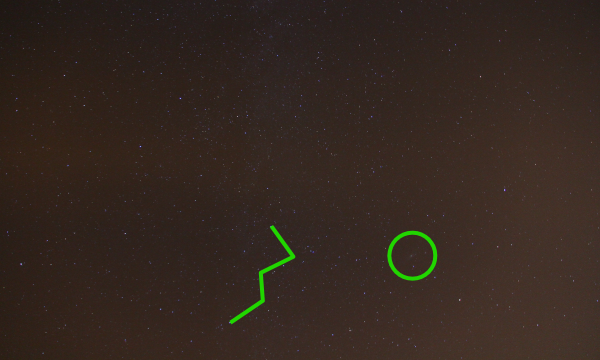 With Andromeda being my new favourite benchmark for dark skies, I performed my usual routine of pointing my camera towards the bright stars of Cassiopeia – here marked with the green lines. 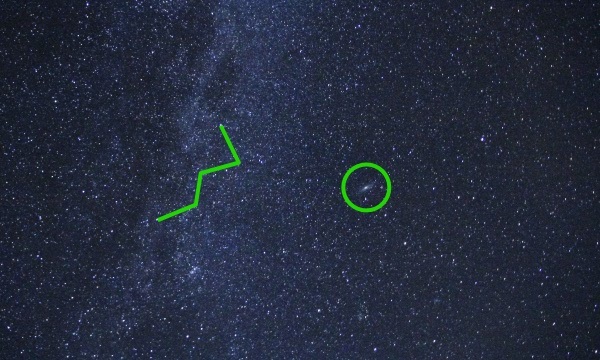 Andromeda is just to the right located inside the green circle. 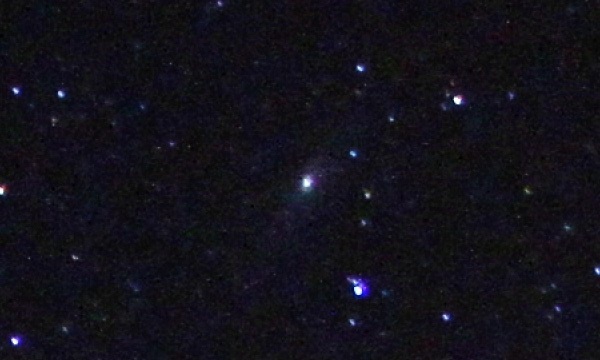 In the full resolution picture you can see that Andromeda is clearly more than just a regular field star, even with the increased amounts of light pollution when compared to the streetlight-free Thorner image below. I think this really goes to show the difference that street lights and other forms of light pollution has on astrophotography. Thankfully, it’s dark enough back home for me not to need an expensive filter for my camera.